A sophisticated alternative to the standard metallic armband. This designer tungsten bracelet features incomparably strong tungsten carbide links with a gleaming polished black IP (ion plated) finish. 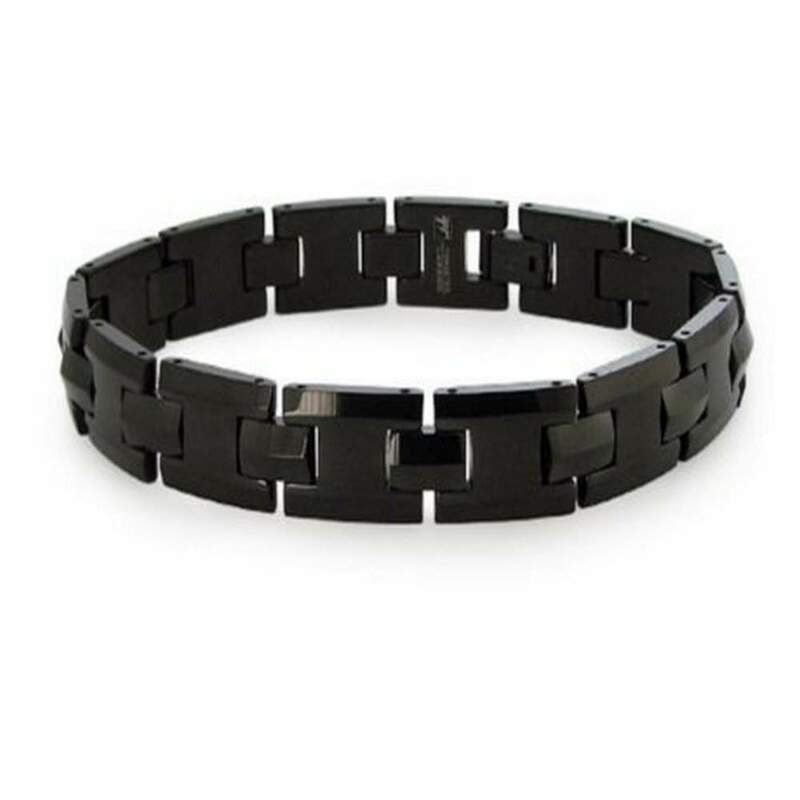 A fold-over clasp completes this 10.5mm by 8.5 inch contemporary men's tungsten bracelet.